Shop MXL PF-002 Metal Mesh Microphone Pop Filter from AMS and enjoy Fast & Free Shipping. Easily clamp this quality pop filter to your microphone stand. 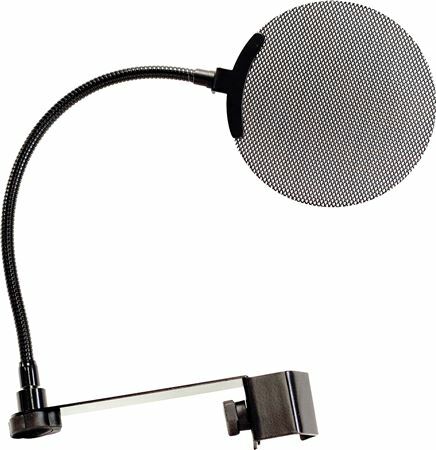 The MXL PF-002 Metal Mesh Microphone Pop Filter provides a filter to eliminate any sibilance in speech or singing. Attach to your stand and properly align it with the gooseneck in front of your microphone.